Background: Fixed drug eruption is a clinical entity occurring at the same site each time the drug is administered. They are usually found on lips, genitalia, abdomen, and legs but can occur at any location. The eruptions usually occur within hours of administration of the drug and resolves spontaneously. Most common drugs causing them include antimicrobials. Fluroquinolones especially norfloxacin is commonly used in the treatment of gastrointestinal infections. Cutaneous adverse drug reactions are very rare with norfloxacin. Case Report: In this case report, a young female, soon after taking Nofloxacin tablet, developed a blister with erythema and itching after self treatment for urinary tract infection. It got cured after stopping the drug and taking treatment from a dermatologist. It resolved as a hyper-pigmented scar. She experienced a similar episode of drug eruption on the same site when she again self medicated herself with Norfloxacin for diarrhoea. 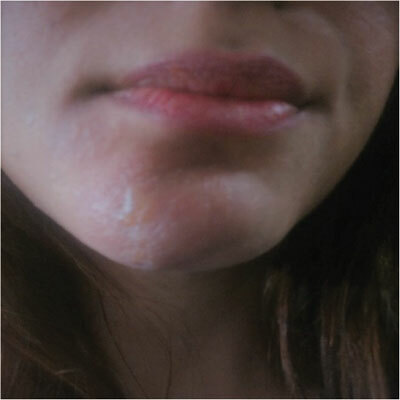 This time the reaction occurred within few hours and resolved with hyperpigmentation after medication. She was advised not to indulge in self-treatment in future. Suspecting association between the drug and the rash was confirmed and a diagnosis of Norfloxacin induced fixed drug eruption was made. Conclusion: Causality assessment by Naranjo’s algorithm revealed a definite relationship between the cutaneous adverse drug reaction and the offending drug. Fixed drug eruption, norfloxacin, self medicated, urinary tract infections, fluoroquinolones, exfoliative dermatitis.